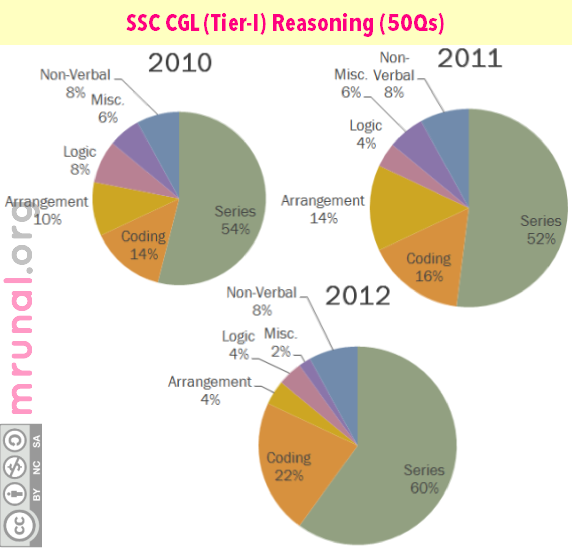 In this last article on SSC-CGL series, we’ll see how to approach Reasoning (for Tier 1) and English (for Tier 1 and 2). Box containing some number, you’ve to find missing number. Building, car, colour, occupations of persons. Configuration, fitting pieces, odd pieces etc. Logical Reasoning portion doesn’t have much theory/formulas as such, except for Syllogism, clock-Calendars, Permutation combinations etc. so the only way to master Reasoning= via maximum practice at home. Here comes the problem: You’ve to face Reasoning/General Intelligence only at the tier-I stage. (50Q) But In tier II: there is no reasoning, but only Maths +English. Besides, you don’t have to tick 200/200 questions in tier-I, to pass the exam. As you can see from the topic wise breakup charts given above, majority of the questions are asked from “series”(analogy, odd pairs, dictionary etc). Around half of the reasoning questions are based on this topic only. In fact in every SSC- CGL paper, first 8-9 question are from analogy, next 7-8 question from “Find odd word/number” and so on. The word based analogy/odd pair is very easy (compared to number based or letter based). But number based analogy/odd pair etc. can be a tough cookie. So while in exam, keep an eye on wrist watch. Don’t spend too much time in just one question. For example: find Missing number in the box? If you’re able to solve this quickly=well and good. But sometimes the logic behind above number pairing won’t click in your mind immediately in the exam. So there is no point in wasting 5-7 minutes in just one question here. Just leave it and move on to next question. On the last page of your question paper (space for rough work), write down the Question number of such “time-consuming” sums and leave them for the end part of exam. (same advice for coding-decoding). To a new player, the arrangement questions may appear time-consuming. But once you’ve practiced enough sums, your speed will improve. But the best thing with arrangement question= you can verify the answer (by applying the “conditions” given in the question to your arrangement). Easiest of all arrangement is circular arrangement. I consider it “no-excuse” topic. Solve each and every sum given in your book. Once you’re comfortable with circular, move to linear and rectangular (dining table). Next comes, Direction based question. Mohan walks 5 km north then… Again “no-excuse”. Solve each and every sum given in your book. Then building-car-job, lecture schedules etc. arrangements. Image based question. Again no excuse, solve all the sums and it won’t pose much difficulty during exam. But yes keep an eye on wrist-watch. Math operation =no excuse. Can be mastered with practice and can be solved quickly and accurately. Same for symbol. So practice as much as you can. Here, first finish Syllogism (All cats are dogs..): use the UP-UN method to quickly solve them. click me to learn it. Please note, in SSC, at most two questions on syllogism per year. But cost-benefit ratio is very good. So don’t avoid). Conventional Venn Diagram questions. (50 drink coffee, 40 drink tea…) Usually just 1 question comes. Good part= answer can be verified and once you practice enough it doesn’t even take one minute to solve it (2 circle venn diagram cases). Therefore, no excuse must be prepared. Since Reasoning/ General Intelligence topic doesn’t have much theory, the only way to approach it= practice maximum number of questions at home from your reasoning book. I’m going to repeat the advice given in maths article: You should simultaneously appear for IBPS, LIC, CDS, CAPF and all such exams depending on your career taste. (because putting all eggs in one SSC basket= bad idea sir-ji). While content and coverage is almost the same in both these books, They differ mainly in terms of “size” (=no. of practice questions given in each book.). BS Sijwali has less number of practice question (around 750 pages) while R.S.Agarwal’s reasoning book has about 1500 paper. 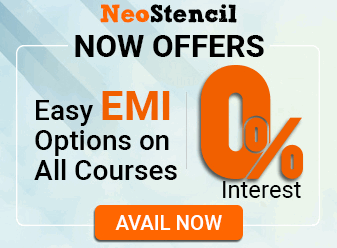 Both of them quite helpful in SSC-CGL, IBPS, LIC-ADO, AAO, CDS, and similar exams. You don’t need to use both of them, just use any one of them. And practice as many questions as you can at home. 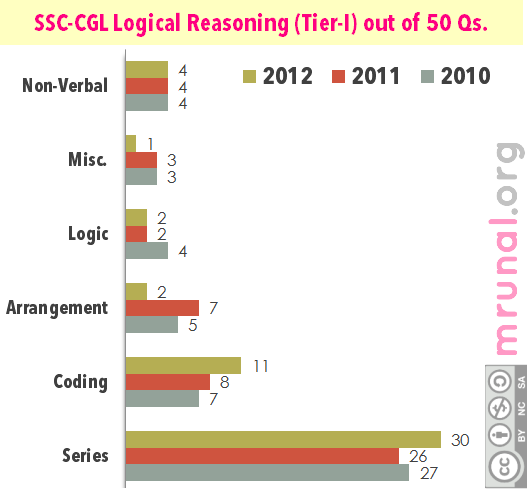 This concludes the discussion on How to approach Logical Reasoning/ General Intelligence for SSC-CGL exam. Now only one topic remains: how to approach English vocabulary, grammar and comprehension. Will be discussed in a separate article. Mere SSC m 91 bn rhe h but mene apni interview post preference galat bhar di plzzzz help me!!!!!!!!!! Anyone can please tell me any email resource for verbal and non verbal reasoning questions ? REQUIRED FOR COMPLETION OF SSC CGL SYLLABUS…….PLZ SUGGEST ME REGARDING THE TIME MANAGEMENT……..
Sir can you suggest me the book in which I can get previous years papers of SSC cgl tier 1 with good explanation.there are many publication. So m confused. please give me your valuable suggestion on how can i get this books…….! mere ko ssc ki taiyari karni kaise karna padega . kaise padhai karni padegi kaon2 se book padhani hogi. What should I follow for General awareness: ‘General Knowledge Manual – Pearson Publication’ OR ‘Lucent’s General Knowledge’ and why? Dear Sir….first of all Thanxx alott to you for yr excellent work for dis page for d students. Sir, can u tell me dat for SSC LDC exam 2015…for d GK portion…which Class Book of NCERT should i pay more attention excluding Current Affairs…to score maximam marks in GK?? Becoz in 3 months To complete Class 7-12 syllabus…nt to easy..
For reasoning I have Mk pandey 2000 edition. Is it sufficient to go for SSC cgl 2016 reasoning. I am preparing for SSC Multitasking Non-Technical Services exam. How will I get good score in reasoning and english?